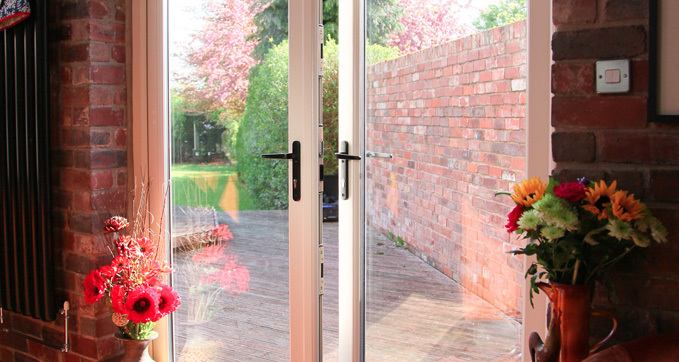 An attractive alternative to patio or bi-folding doors, M F Plastic’s Liniar range of French doors are an ideal choice where the aperture size is more limiting. Offering a more traditional aesthetic, M F Plastic’s Liniar’s stunning range of uPVC French doors come with the same high specification and colour choices as our window range – just as you’d expect. M F Plastic’s Liniar French doors are not only lead-free and aesthetically pleasing but have been created with security in mind. Available in chamfered or sculptured profile, 28mm double or 36mm triple glazing, with standard 4-chamber or EnergyPlus 6-chamber profile – along with threshold choices (including Part M) compliant and a great range of hardware, finishes and glazing options. 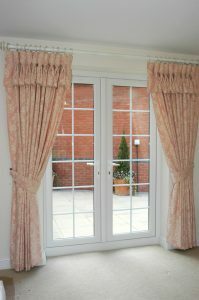 M F Plastic’s French doors can achieve a U-value of 1.3 W/m²K, allowing you to enjoy a quieter and warmer home as well as reduced energy bills.